I know, I know, Rare! but I'm looking to buy an S3 preferably SC. With all due respect to the factory supercharged Elise owners, you might consider an Elise without one. The stock unit isn't intercooled, so it is easily heat soaked and has little to no room for growth (powerwise). I'm paraphrasing the best tuner around IMHO. If you need only the power the stock unit provides, by all means you're set. If you'll need more power, you'd be far better off with an aftermarket supercharger that will meet your needs, provide you with the option of different levels of power (pay as you grow), and cost you less overall. I completely disagree with oldmansan's opinion. I live in So. Cal. and drive my supercharged Elises in the hottest conditions. I have never noticed them becoming, "heat soaked," and I drive them incredibly hard - lots of times in 100-degree weather with the a/c on max. The factory supercharger spools up instantly. 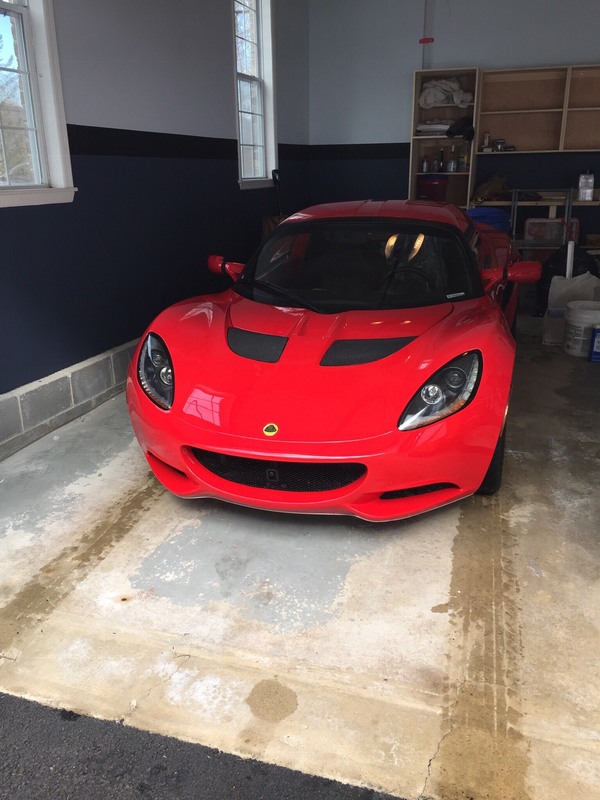 A stock supercharged 2011 Elise will run right with a non-modified intercooled 2011 Exige 240, as it weighs 36 pounds less than the Exige (factory specs are Elise 0-60 in 4.3 seconds and Exige 240 in 4.5 seconds). Both of my cars now have Stage 3 (or supercharged Stage 2, if you will) exhaust systems, which really woke the cars up and saves an additional 13.2 lbs. over stock. They are faster, louder, sound like superbikes at high revs, are poppity (especially when cold) and generally much more fun to drive. Yes, if you plan to race and want maximum power, the aftermarket superchargers are larger, but if you want instant power, the stock supercharged Elises are the way to go. Not to mention the rare factor. If you keep these cars stock (Of course, I saved the stock mufflers), they will only continually go up in value, where most modified Elises will not. IMHO, you cannot make a better investment than a 2011 supercharged Elise (only 51 were imported to the U.S.A., including special editions). Finally, if you PM me, I can give you a list of the cars I have blown off on L.A. freeways. I have to disagree with Tim. I have a supercharged Final Edition (sorry, it's not for sale as I absolutely love it). As a science experiment, I had DRS dyno the car to see what the affects of heat soak are on the supercharger. After warming up the oil, DRS did a "cold" pull then ran the car up and down the rev range for a couple minutes before doing a "hot" pull. This was on a fairly cool day; about 65 degrees ambient temperature. The result was that the car lost 10 hp between the cold and the hot pull. Under serious track conditions, the car would likely lose even more power as the oil temps during the hot pull weren't quite as high as what I see on track. Granted, the power measured was still more than what a NA car typically pulls on his dyno, but not significantly more and I have a DMC header and aftermarket exhaust. I still appreciate the mid range punch of the supercharger, but the top end is just not there with the hot hairdryer that comes stock on Elise SCs. Well, I’m still looking, if anyone has a change of mind or wants to consider selling. Got the Elise R! And thrilled, love it! forkmeupscotty and SS Lotus Elise like this. That Elise looks beautiful! And super-low miles! I came to find out driving it for the first time and then questioning the seller, it has the Stage 2 already! I was going to buy that car from Brett but needed a PPI first and it took to long for him. No worries as I found another though and am excited to get delivery of it soon. I wanted to know if you know what the front lip protector is on that car since I am also in NJ and think it is a must. I was originally looking for an SC S3 but they are even harder to find, as I am sure you are aware. I had been looking at this one for a while and then pulled the trigger pretty quickly. Glad you found another one relatively quickly and congratulations! The lip protector is interesting, no one seems to know who produced it, but I believe it was ordered from Galpin. Others have been asking too, I wish I knew. It is metal and looks great fitted but no manufacturing markings, name or logo. I’m still trying to research and if I find anything i’ll Let everyone know. Interesting. I didn't even notice the front lip protector. Any idea how it's affixed? Fasteners or bonded? For some reason I thought the S3 front clam didn't have the unseemly seam. So I found out that the skid plate/chin guard was custom made by the accessory division of Galpin Auto Sports. Great find! I will give them a call.